Torbögen, by Jean Claude Constantin, is a rather interesting packing puzzle with a very clever geometry. 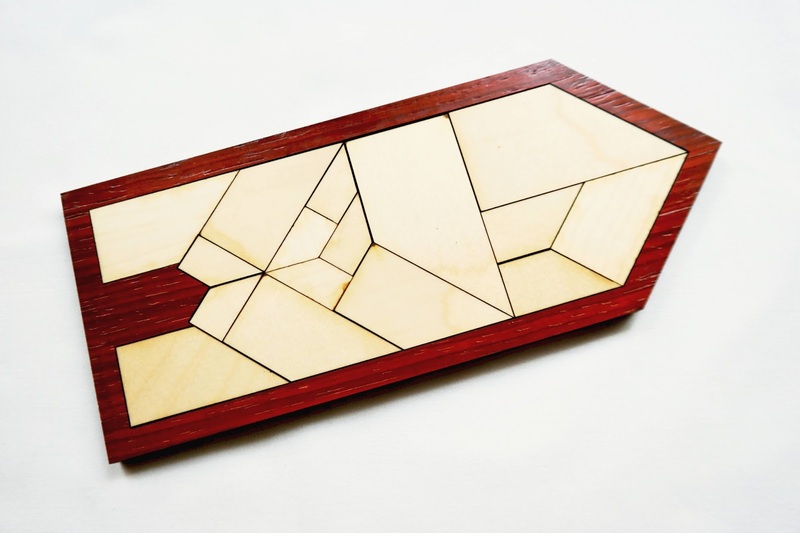 Made with 16 pieces, this deceptively easy puzzle is the perfect companion for someone who likes to play with patterns and geometrical shapes. Torbogen may sound like a strange name for many of you, but if you know Constantin you know he likes to name his puzzles with German words - he's a German designer after all. 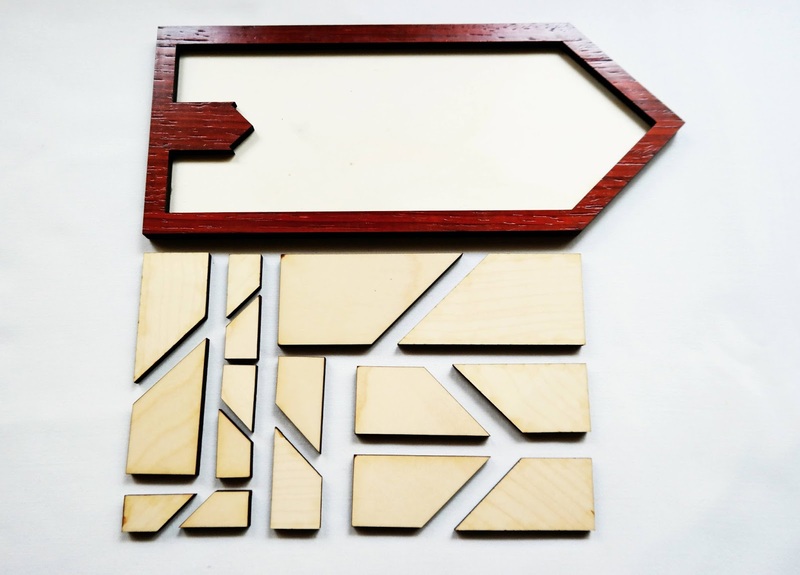 The word means "archway", which the shape of the puzzle indicates if you view it vertically. Honestly, I see first an arrow, maybe because I first looked at it horizontally. 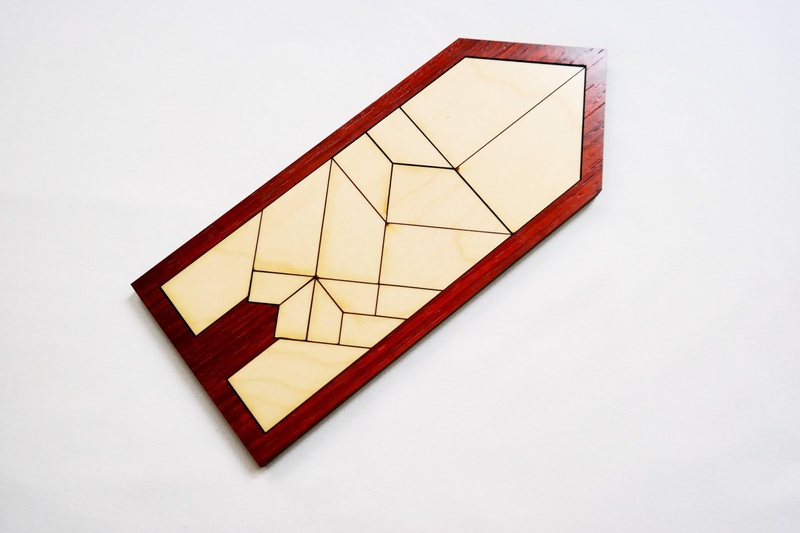 The shape of the pieces is what makes this puzzle really shine. Not sure if there's a name for this particular shape, but I've seen it many times featured in other puzzles alongside other shapes. However, I've never seen it presented like this, since every one of the 16 pieces has the same shape, albeit in four different sizes. 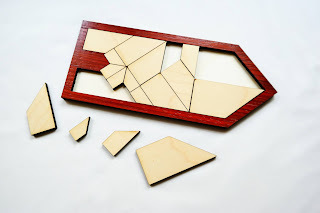 Now, because the pieces are proportionally sized, you can actually build the shape of a bigger piece with other smaller pieces and therefore change the appearance of the solved puzzle, thus creating many different solutions in the process. I had a lot of fun altering the position of the pieces and playing with different configurations. For better or worse, this is quite an easy puzzle to solve, since it's solvable within the first couple of minutes of your first try (it also depends on your skill level with packing puzzles), but on the bright side it gives you more time to find other solutions. It has a high replay value, which to me is always a plus when it comes to puzzles. You really get your money's worth with this one. Availability: The Torbögen puzzle is available at Brilliant Puzzles for $25.95 USD. If you like this one, check out other interesting puzzles by Jean Claude Constantin.